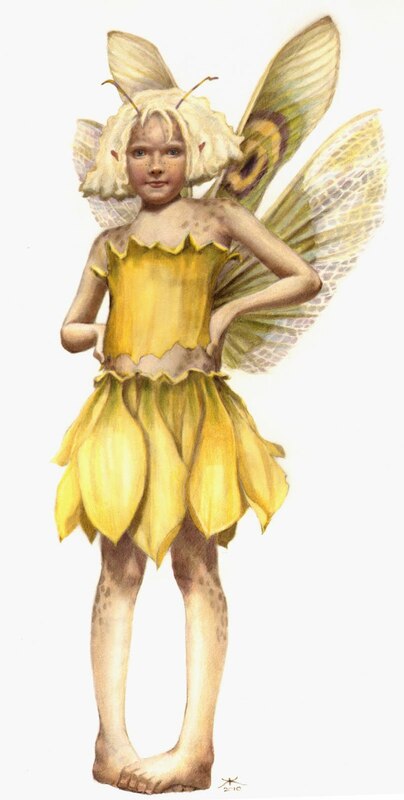 This was a faerie I reworked this week as she still needed some revising in the face. Calling it done. May I present, "Pluck, Defender of Daffodils". Look out for her come springtime. She's likely to challenge you if you attempt cutting a few stalks of daffodils from your garden. She's been known to carry sharp-tipped sticks and often resorts to bitting, although it's against all the rules of fae-human interaction, not to mention, very unladylike-like. What a great pose. She definitely looks plucky and a bit obstinate. Wonderful! Love the crossed feet. Well done, Kim! Thank you Jeremy and Rose. Speaking of feet, Rose...still haven't received my Vibrams. Hoping this will be the week. Hurry up and send her in to Spectrum!!! Thank you Amatheya and ruthie.